Born between the 21st of January and the 19th of February, Aquarius is the ultimate adventurer and traveler of the zodiac. People born under this star sign love freedom. They never follow the crowd, instead, these individuals take pride in their intellectual independence and they like being different. Intellectual stimulation is very important for them and they are gifted with good communication skills. If you still wander why Aquarius is the best zodiac sign, read on to find out more. Aquarians love intellectual conversations that captivates them completely. In relationships the ideal partner should be able to do both, stimulate their body and their mind as well. They have a thirst for knowledge and they enjoy exploring every possible angle of a topic. Aquarius is an exciting partner, because you will never run out of things to talk about. They have excellent communication skills and so they can entertain anyone. 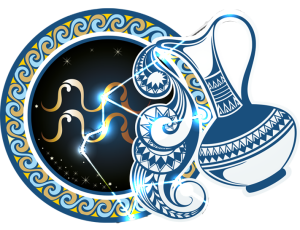 Aquarius-born people are very active, they are always moving and looking for the next wondrous adventure. They need to be living a life that excites them. Aquarians understand that the world is beautiful, and they never want to waste days by not embracing that beauty because that would mean throwing life away. They are quite a rebellious bunch. Never expect them to do anything the way everyone else does; instead, expect them to do the exact opposite. Aquarius has a firm opinion about everything – which they are not afraid to voice – and they will always say what is on their mind. Being an Air sign, Aquarians are witty and natural-born communicators. With their chatty and energetic personality, they are really entertaining company as they can easily make others feel good as well. Aquarians are very independent individuals. They want to do everything their own way and prefer to rely on themselves. They are never needy and rarely let themselves depend on their partners. The characteristic of self reliance is very strong in them. Therefore with an Aquarius partner you will get plenty of alone time. They also need their moments of peace and quiet to be with their thoughts alone. One of the most rational and practical sign of the zodiac is Aquarius. If you tend to overspend, overreact or over-worry you definitely need an Aquarius in your life. With their grounded nature, they will be your practical balance. Aquarians are highly intellectual beings, they have a diverse interest and they love new ways of thinking. They are the innovators of the zodiac. Aquarians have everything it takes to be a good leader. With their creative minds, they are born to update the current structure and change the rules if necessary. Aquarians are leaders who can push the boundaries of what is possible. They will always choose to do things their own way rather than conventionally. The rebellious Aquarius is often associated with science, inventions, and technology. Even though Aquarians have a large circle a friends, they don’t let many people really close. But once they do, it becomes a long-term commitment. They are not easy to impress but if you manage to do so, you will have a loyal and caring companion for life. They love to make their loved ones happy and they will do everything to please them. Aquarians are altruistic, humane people who are determined to make a difference. Due to their original approach, vision and intellect it is not impossible. Aquarians are often involved with humanitarian activities as they have an aim to make the world a better place. Working for nonprofit, humanitarian, social institutions might be a fulfilling career for them. One of the strongest side of the Aquarius is their ability to come up with unique perspectives. They always think outside the box, taking projects to an entirely new direction. They are rebels, going against the system with their revolutionary thinking. This personality trait makes them unsuitable for routine tasks. Aquarius is always on the move; they love exploring the world and going on new adventures. Their biggest enemy is monotony. They prefer jobs that gives them a bigger sense of independence such as freelance positions or self-employment. They are quick decision makers, and prefer to live their life with a sense of adventure. This spontaneity makes them a lot of fun to be around. They are always partner in doing something crazy and adventurous. Where did you get these amazing zodiac images?